What does a DUI or DWI Attorney do? Drunk driving charges often carry different vocabulary in different places. Some states call the charge a DWI (driving while intoxicated), an OVI (Operating a vehicle while intoxicated) and the most well-known, the DUI (Driving under the influence). All of these terms mean substantially the same thing, a person was stopped or apprehended while driving car when they are intoxicated or under the influence of a drug. There is much more to the charge but like any large section of the law, it's best to start at the basic level and expand from there. When Can a Person be Arrested for DUI? There are a couple of things that have to occur first before a person is stopped and subsequently arrested on suspicion of drunk driving. There is plenty of information and legal standards that have to be met. The most common facts known about DUIs deal with the minimum blood alcohol level (BAC), field sobriety tests and license suspension. Blood alcohol can simply be explained by it being the amount of alcohol contained in your body at any given time. So how many drinks does it take to exceed the .08 limit? Again, the answer depends on a couple of factors. Everyone metabolizes alcohol in a different matter and with the multitude of different body sizes, so anything that tells you that you can have a certain amount of drinks before you get to the limit could be horribly wrong. Field sobriety tests are often discussed as they are a means utilized in traffic stops by police to determine whether a person is drunk. The classic ones are walking in a straight line or reciting the alphabet forwards and backwards. Usually some variation of the aforementioned is used. The last facet of DUI that most people are aware of is the potential penalties like temporarily having your license suspended. Quite often, if a driver is arrested for DUI, their license is then immediately suspended pending further action. A DUI attorney, or more generally, a defense attorney can assist with every facet of the DUI charge. First, the attorney can analyze the blood alcohol information or the testing mechanism, usually a Breathalyzer, to ensure the method or test use was proper under the law. The DUI attorney may examine whether the breathalyzer was in working condition or was calibrated accurately. Second, a DUI attorney will also make sure that the field sobriety rendered to the individual was fairly and properly conducted. For instance, there are people, who for many reasons not related to drunkenness, which may have a hard time walking in a straight line or reciting the alphabet backwards. A person’s disabilities may prevent passing these tests. Also, an attorney can help with the suspension of a license. Often, some jurisdictions DMV hold a separate hearing to determine whether a driver’s license needs to be revoked. Having an attorney argue that the driver needs a license to go to work and carry out daily activities can be a big help. When would l need a DUI Attorney? You would need a DUI attorney any time you have been arrested for drunk driving or driving under the influence of a controlled substance. You have a right to have an attorney as soon as you have been arrested. You would also need an attorney if you were involved in a car accident that occurs after you have consumed alcohol as the other party is likely to claim that you were intoxicated while driving. If you happen to be repeat offender, it is of utmost importance that you have an attorney as many jurisdictions escalate the punishment for repeat offenders. It’s important that you have a legal representation that lets you know just what your rights are and why multiple DUI’s can complicate your situation. You may have heard of situations where it’s not necessary to have an attorney if it’s your first DUI case. That’s a dangerous assumption to make. You are not likely to be treated in the same manner as a practicing DUI attorney, of whom the prosecutor has probably dealt with before. There are also a lot of requirements and deadlines that need to be met in order to see the case through. Most people’s daily lives are already filled with many things so it may be a difficult thing to keep track of. Keep in mind that missing a court date could severely damage your case. Moreover, when it may be time to negotiate a plea; do you really know what type of plea bargain you can ask for? It could be the difference in fines, jail time or probation, so you may want to not take any chances and speak to an attorney. Lastly, keep in mind that it may be possible for a DUI conviction to be expunged or removed from your record one day. The process, if available, can be very specific and is not likely something you want to miss out on simply because you did not have an attorney attempt it. How do you choose a DUI Attorney? You will want to make sure that you find an experienced attorney, first and foremost. Criminal cases often come down to the negotiation between a prosecutor and a defense attorney. Knowledge of the prosecutor and how cases are treated in that area is going to be very important. 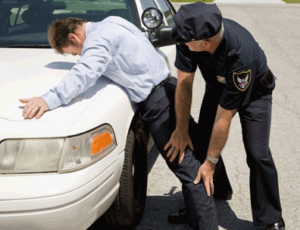 You will want to seek out an attorney in the area that you are arrested. You will also want to make sure that this attorney has handled as many DUI cases as possible. This may be the most important part of the process. If you have never been arrested before and this is your first DUI charge, you could have a bit more flexibility. You may even want to go with a court appointed public defender. The public defender route is more favorable than trying to represent yourself. DUI misdemeanor cases are not simple affairs and you don’t want to make a mistake. Nevertheless, affordability may prevent you from obtaining your chosen attorney. If you injured another or are otherwise charged with a felony DUI, you will need to seek out the best attorney you can afford as felony DUI’s carry with it a significant amount of jail time if convicted. Following the steps below will help you get as much information as you possibly can in order to make the best decision for you. Use the internet and use it wisely. In today’s age of social media and instant feedback, there are plenty of opportunities for you to gain information to an attorney’s abilities, or at least client’s opinions of an attorney’s ability. The information is hidden, you need only look at sites like Martindale-Hubble, Avvo.com and Lawyers.com to see what clients and other attorneys think about a specific attorneys work. Once you have a name or names in mind, search that attorneys name in a bar association web site. There you can find any disciplinary actions that may be pending against the attorney. You may also want to check out ABA newsletters and local defense attorney associations to see the latest news about the industry and what attorneys in that local area are up to. Finally, once you have decided on a couple of firms, feel free to schedule consultations with multiple firms and hear what each has to say. Do not be afraid of asking a lot of questions, in fact, you should go prepared with any question you may have. Ask questions about how many cases has the firm handled, ask about their fees and hourly rates and lastly you may want to ask if they will help you with any license suspension issues you may have.